When I spotted Urban Decay's latest launch on my Instagram feed just before Christmas, I knew it wouldn't be long until I got my mitts on it. I immediately loved the concept - virtually a full face of makeup (minus base products) in one handy little palette. I'm often travelling back to my home town for weekends and I thought this would be a great little travel companion. 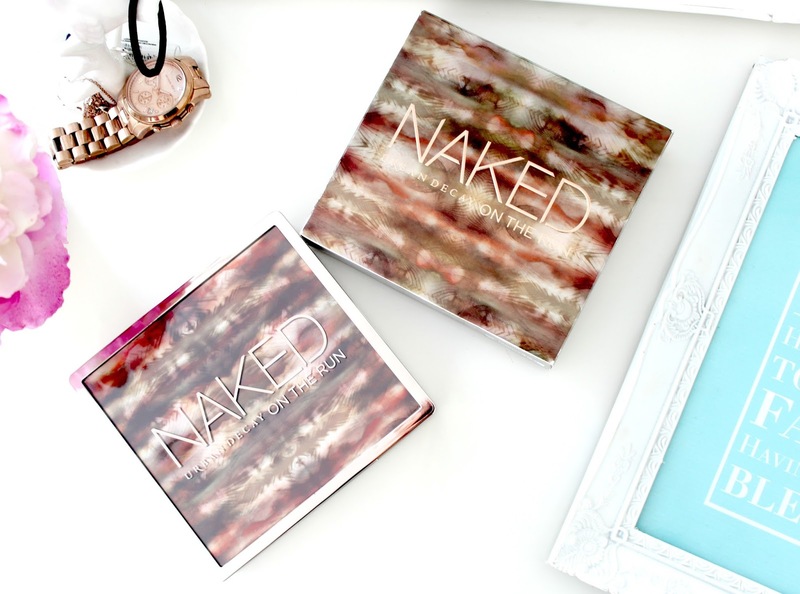 Also, who doesn't love Urban Decay? I now own virtually all of their NAKED range so as soon as a new product is released, I just *need* to add it to my collection. With this being said, I added it straight to my Christmas list and my mum very kindly bought me it - what a gem. I unwrapped it on Christmas morning and am pretty in love. I even bought one to include in my Christmas giveaway as its such a great product and something I know someone would love to win! As I mentioned, this product is pretty much a full face of makeup in one palette as it includes six neutral eyeshadows (yes, that one next to the bronzer and blush is actually an eyeshadow), bronzer, blush, eyeliner, mascara and lipgloss. I love how its packaged - it is quite bulky but lightweight at the same time and it feels secure when closed. Lets just say I wouldn't have a problem with throwing this in my handbag for on the go touch-ups. Plus, its rose gold? What's not to love?! The shadows included in the palette are all absolutely beautiful and although they're neutrals, they're all brand new shades different to the ones I've seen in previous UD palettes. From left to right we have Dixie, Fix, Resist, Dare, Stun and 5050 which is the slightly larger shadow (can also be used as a highlighter) in the bottom right. All of these shades are brand new so you can be rest assured that if you already own the other palettes, there won't be any of the same shades! I really do adore all of these shades and the pigmentation is on point. I like that there's a mix of shimmer and matte shades so there's everything you could need to create a number of eye look - both daytime and evening. You can also use the matte shades on eyebrows which is another bonus of this palette - it really is a full face in one. I think my favourite shades would have to be Dixie (far left) as its a beautiful rose gold shimmer and Stun (far right) which is a stunning chocolate brown with gold flecks. I also love Resist (second from right) as its the perfect crease colour. Overall, the eyeshadows are a big win for me! Moving on to the bronzer and blush, these are the only two products in the whole palette that I wasn't sure about when I saw the image online. As you can see, they look scarily bright. However, I'm pleased to say that they're nowhere near as garish as they look when swatched / applied. The bronzer does still have orange tones but when applied with a light hand, it looks golden brown rather than oompa loompa orange. The blush is fairly bright but when blended out, it creates a beautiful soft pink flush. 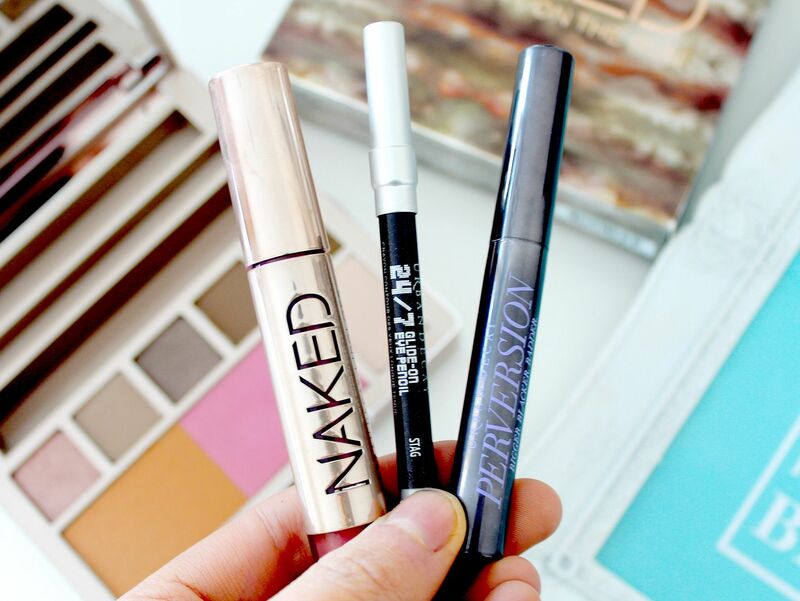 Next up is the 24/7 Glide-On Eye Pencil in the shade 'Stag', the Perversion mascara and NAKED lip gloss which all slot perfectly into the top of the palette. The eye pencil and mascara are both generous travel sizes and the lip gloss is full size. I've tried the UD eye pencils previously a really liked them so I'm chuffed to have this dark brown shade which is very pretty for day to day wear when you want something slightly softer than a jet black. The Perversion mascara has been one of Urban Decay's most hyped products of late so I'm looking forward to trying it - I'm trying to use my other mascara before I open this one. Finally, the NAKED lip gloss is something I've wanted to try ever since they were launched, purely for the packaging alone. I mean seriously, HOW pretty? The gloss itself is absolutely lovely too - its none sticky and a beautiful rose pink shade. Overall I'm a huge fan of this palette and as you can see from my swatches above, the palette features really gorgeous and more importantly, very wearable shades. I also think its 100% worth its £37 price tag - one of the NAKED lipglosses alone costs £14 so to get all those extra products for only £23 is amazing. Feel Unique often have discount codes flying around too - I managed to get £10 off when I bought it - what a bargain! You can find it here with £37 and free delivery. What do you think of this palette? Is it something you'd use? LOVE the packaging, it looks like a great palette! This palette sounds so amazing and has literally everything you could need, really want to try it out! I LOVE the look of this, the eyeshadows are gorgeous I especially love Stun! I feel like I really need this in my life... I agree, the shades are very wearable, you can create both no-makeup makeup look and something nice for a night out! Every single shade looks gorgeous! I really need this palette! This is such a fab set! I already have all the products within it, but wouldn't say no to this! I lovr these colours and they look soo pigmented! The whole palette looks gorgeous, those eyeshadows are beautiful! Such an amazing idea! I love palettes like this, all in one!! I'm normally put off their prices for the palettes but this one looks like the exception. So gorgeous! 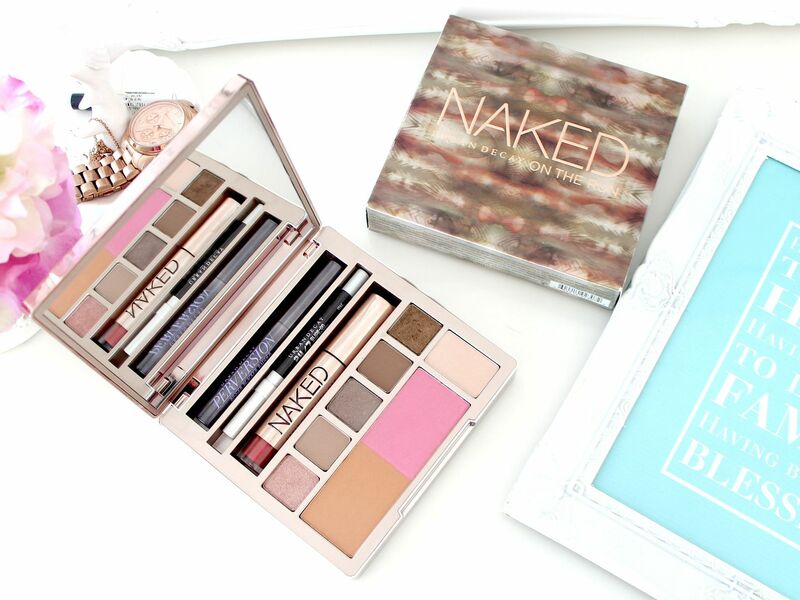 I saw this a while ago and as mush as I love my naked palettes the Urban Decay price tags usually put me off. I will have to make an exception for this though, the colours are all so pretty and it is perfect for travelling! Thank you for the review! I love this palette! It's perfect for topping up on the go as well. I love the idea behind this palette so much! When you're in a rush there is nothing better than having everything in one place, and this would be perfect. Sooo in love with this palette/kit! The gloss is a gorgeous shade! This palette looks great! Definitely agree about the blusher/bronzer though, it looks terrifying! This palette looks incredible! 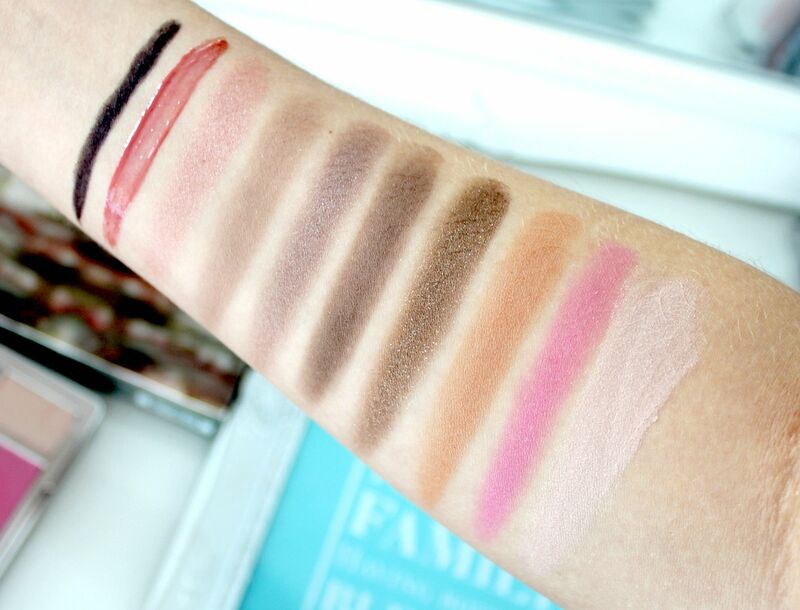 And thank you for attacking your arm with products for all the swatches haha <3 Great post as always! I wanted to try this but the bronzer shade looking extremely orange! This looks like such a gorgeous palette, I've been after if for ages! 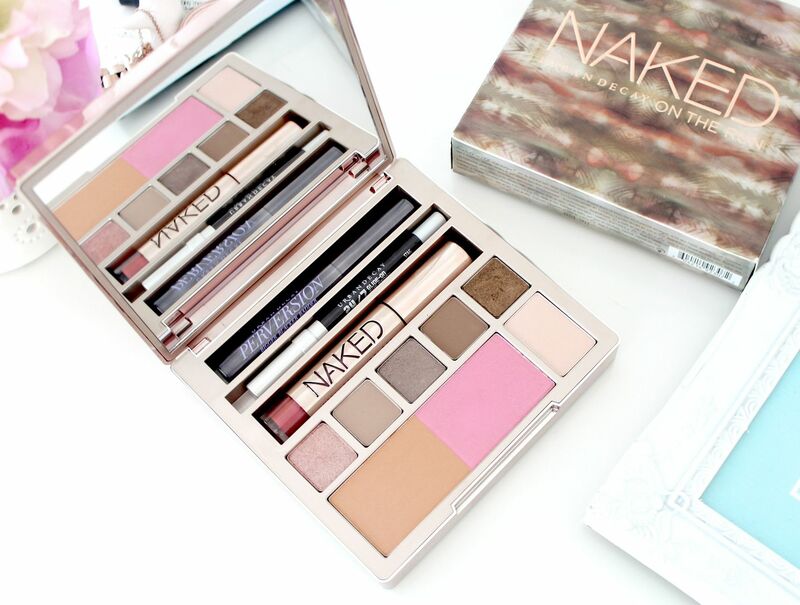 I have yet to jump on the Naked bandwagon but this palette looks great! Amaizing palette! I realy like all of eyeshadows and I need to try them. I absolutley loved this blog. I want to try this so bad!! I love my NOTR! So handy! The colors are so vibrant! Who wouldn’t want to have this palette?? It’s so pretty!